A long-dead family haunts a ramshackle cottage, the new home of grieving Mary and Graham Coles. The implausibility of the characters is reflected at the level of plot, with every gory eventuality visible a mile off – though perhaps this is unavoidable in a novel in which supernatural intimations are the norm ... the ending feels like an abrupt, convenient and grossly inadequate conclusion to a narrative of horrific loss and mental fragmentation. The novel’s parallel stories are told in alternating passages, with only space breaks to indicate the shift between them, which makes keeping alert to the distinction utterly crucial. This may sound like too much work, but it’s ­really not. Instead, there’s a rhythm to these purposeful leaps between past and present that becomes part of the experience of reading this increasingly gripping novel, which rewards the attentive reader. This novel is beautifully written and cleverly told. And it’s almost completely terrifying ... It’s the sort of book you cannot put down, partly because it is so addictive and partly because if you do put it down, you know you will spend the next few hours startling at every creaking door. I was immensely relieved when the ride came to an end. It really is unremittingly, heart-stoppingly dark. 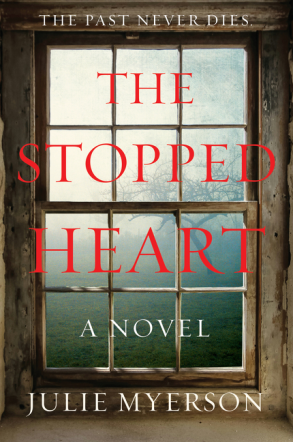 What did you think of The Stopped Heart?